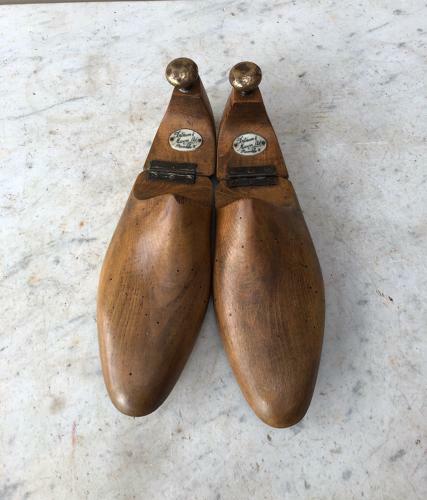 Early 20th Century Shoe Trees from Fortnum and Mason with their original plaques "FORTNUM & MASON LTD PICCADILLY W" before it was W1. Brass knobs to lift. Wonderful items to display. There are a few historic filled worm holes but long gone and fully treated anyway.